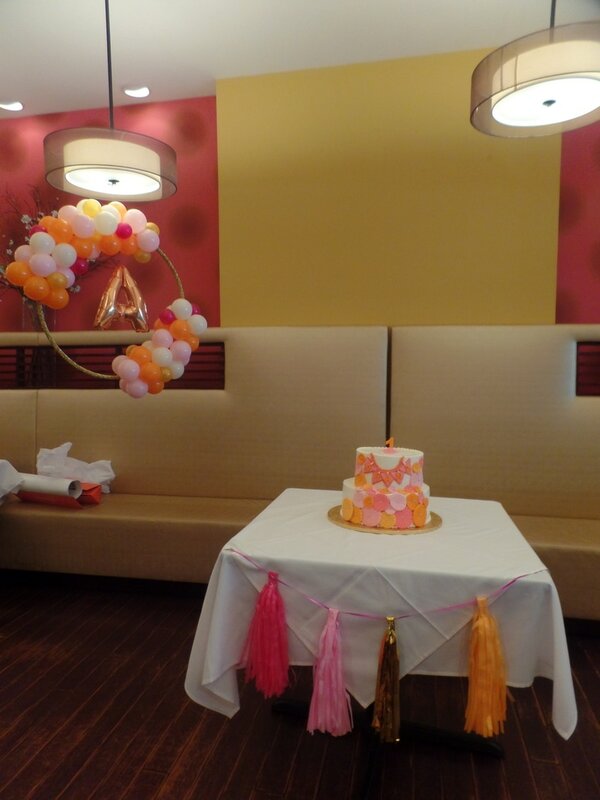 For this party, I created two columns and a spring of pearls arch between them, table centerpieces and a beautiful balloon hoop. 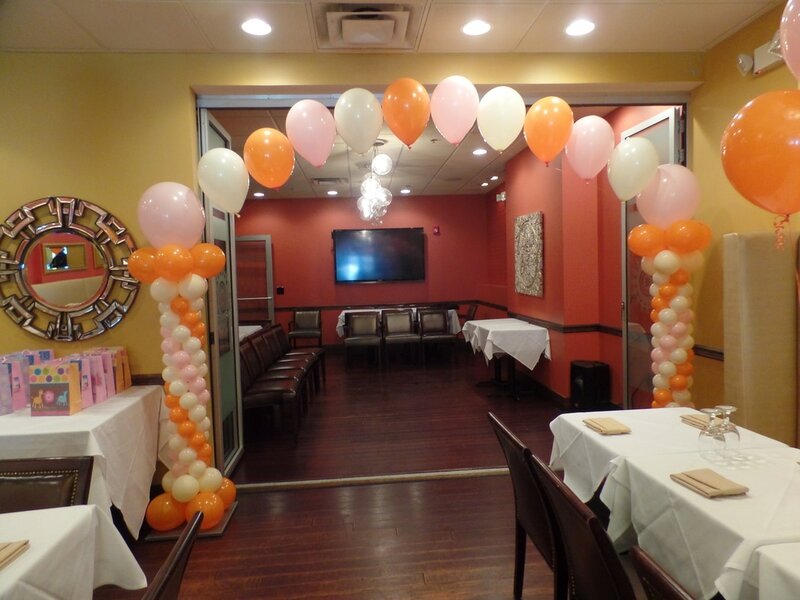 String of pearls arch with side columns in orange, pink and ivory. 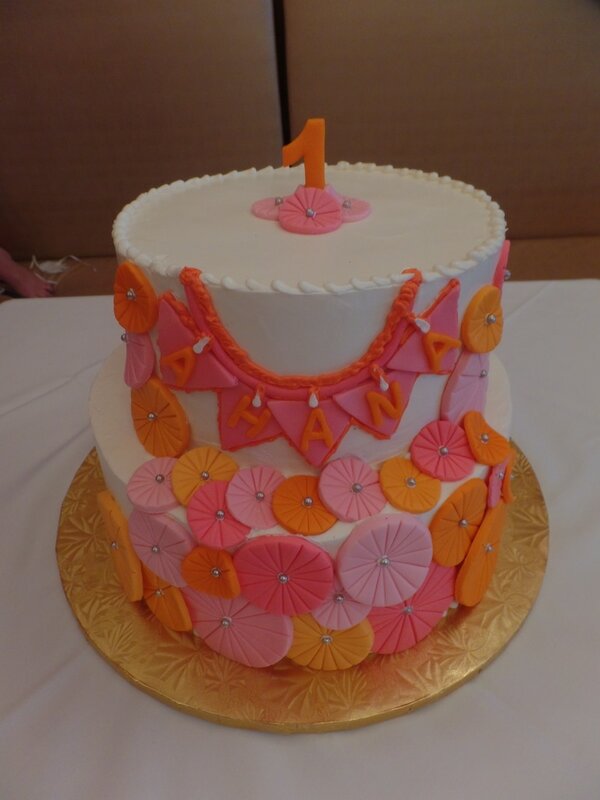 Balloon hoop with first name initial and a beautiful cake. 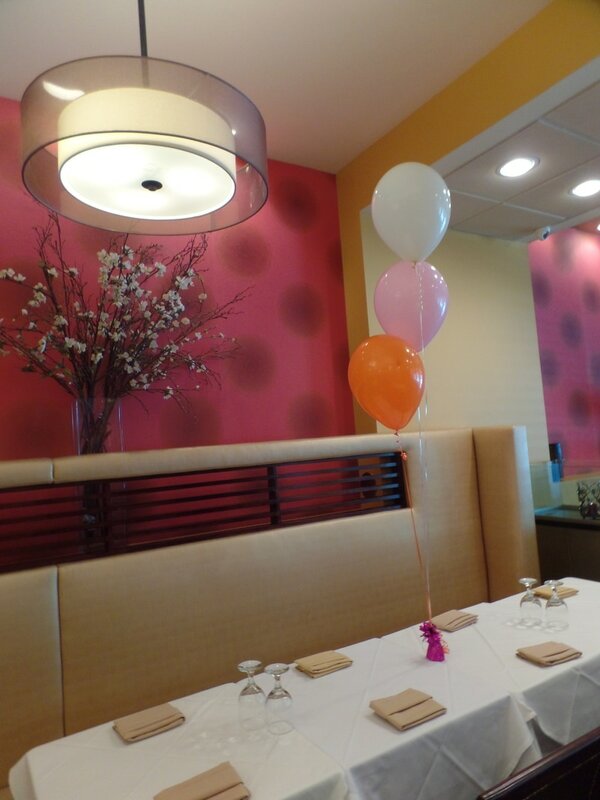 Balloon centerpiece in orange, pink and ivory.